Congratulations! You plan to have an Australian wedding. I would be delighted to conduct your Australian wedding ceremony! Rules and regulations for civil or secular wedding ceremonies are the same in all Australian States and Territories. As an Authorised (by the Australian Attorney General) Marriage Celebrant, I conduct civil wedding ceremonies according to law in Australia. I conduct these wedding ceremonies at any location within Australia on land, sea and air, at any time, and on any day of the year. See Marriage Celebrant definition for more information about what a Marriage Celebrant does. 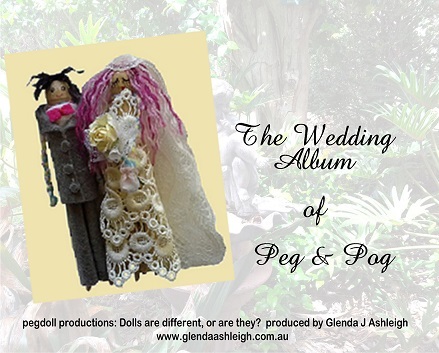 Here are some questions about an Australian wedding ceremony that people often ask. Who can marry in Australia? Two people from anywhere in the world, who meet the Australian legal requirements can marry in Australia. What are the residency requirements to marry in Australia? There are no residency requirements to marry in Australia. You and your partner can marry on the day you arrive in Australia. If you wish to remain in Australia as a resident following your marriage, then you must have the relevant visa. There is no licence to marry in Australia. You must however, lodge a Notice of Intended Marriage with me as your authorised Celebrant at least one month before the intended date of the wedding ceremony. Are you in a hurry? A prescribed authority can shorten this one-month waiting time period under certain circumstances. This ‘shortening of time’ process starts when you book me as your Celebrant. Do we have blood tests before we get married? Australia does not require blood tests to get married. Do we get a Marriage Certificate? You receive a ‘ceremonial/presentation’ marriage certificate on the day you marry. This is a legal document that is proof of your marriage. This certificate is not an ID or personal identification document however, as it does not include your date of birth. If you require a copy of the Official Marriage Certificate, ask me and I will assist you to apply to the Registry in the State or Territory in which you marry. The Registry charges a fee for a copy of the Official Marriage Certificate for a fee. Can we marry a second time in Australia? You are already married if you marry legally in another country! You cannot marry again in Australia. However, you may choose a Renewal of Vows, Affirmation or Commitment ceremony so that your family and friends in Australia can celebrate with you. Although these ceremonies have no legal status, they are great occasions to celebrate again. This is your choice! As an authorised Commonwealth-registered Marriage Celebrant, I conduct wedding ceremonies anywhere in Australia and on any day and at any time that is mutually convenient. Do we have pre-marriage counselling before we marry? This is your choice. You choose whether or not you take part in any relationship education programs or in counselling before you marry. Relationship education is available in Australia, through both government and non-government agencies. This information is free and is easy to find. As your authorised Commonwealth-registered Marriage Celebrant, however, I must give you certain information regarding relationship education agencies when you book me as your Celebrant. Do we have to say certain words? There are however, some legally acceptable minor variations to this wording. For example, “call upon” to “ask”; “persons” to “people”; “thee” to “you”. Do we use our full names in all parts of the wedding ceremony? Where the surname or family name eg ‘Wickham‘ does not appear in the lawful marriage vows, it is mandatory that it appears elsewhere in the ceremony. This usually happens early in the ceremony. This establishes the legal, personal identity of the individuals who make the contract of marriage. This is your choice. You choose whether or not you give a ring or exchange rings, or anything else at the wedding ceremony. The two parties make the contract of marriage when they say the legal marriage vows. This is your choice. You choose whether or not you want someone to give you away, accompany or present you. This is a tradition, not a requirement. Choose your own arrival style at your ceremony. This is a personal choice for either partner.